Our battle against federal tyranny has been complicated by judicial immunity. 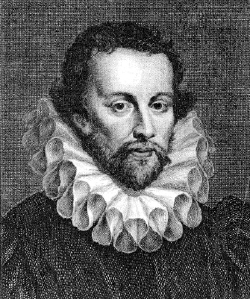 Judicial immunity originates with Edward Coke. I believe Sir Coke would have stood with us. Coke has had an enormous influence in America. “The men of the American Revolution were nurtured upon Coke’s writings,” observed constitutional historian Bernard Schwartz. “To them, Coke was the contemporary colossus of the law.” Coke’s principal gifts to America: the independence of the judiciary and the principle that judges may overturn statutes which are contrary to the Constitution. Our allegations against Federal Judges Barry (Ted) Moskowitz, Anthony Battaglia, and Roger Benitez are for intentional violations of the law. I believe Lord Coke would not approve of immunity for intentional acts. “Coke considered every important public question from the standpoint of the supremacy of the law, from the standpoint that the common law is the heritage of every British subject, who cannot be deprived of the rights it gives him excepting by his own consent manifested through an act of Parliament.” Id. At 186. Had Judge Moskowitz, Judge Battaglia, or Judge Benitez merely respected the rule of law, our dispute would have been limited to the consequences of the RICO lawsuit. These judges would have been righteously protected. The law is the safest shield after all. OUR PROBLEM – Federal Employees are NOT Required to Follow the Rule of Law! Tort claims statute conceals the actual consequence of its form within the illusion of due process. The Supreme Court has met to decide if our appeal will be heard.